Whether you’re tired of hiding your smile or you’re just looking to brighten it, your cosmetic dentistry dreams can become a reality at Weishaar & Weber Dentistry. The professional team of dentists includes Dr. Anthony Weber, Dr. Sue Weishaar, and Dr. Lori Weber, who all offer a variety of cosmetic services from teeth whitening to veneers. If you live in or near Spokane Valley, Washington, and want to improve the look of your smile, contact the office today. Call to schedule or book online now. Beyond improving the look of your smile, cosmetic dentistry can also improve your oral health. These procedures often straighten teeth, making things like brushing and flossing more comfortable and more effective. Filling gaps between your teeth can provide support and reduce your risk of bone loss. How do you know what type of cosmetic dentistry is best for you? 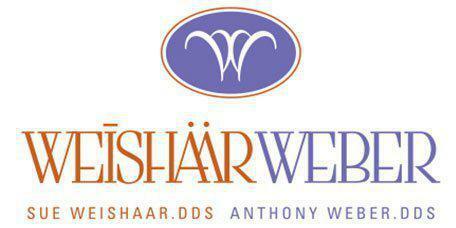 If you want to know what type of cosmetic dentistry can best fix your issues, talk to the team at Weishaar & Weber Dentistry. After a thorough examination, which may include digital X-rays and a two-way discussion about your problems and goals, your dentist makes their recommendation based on the condition of your teeth and your overall oral health. Some procedures, such as teeth whitening, are easily accomplished in the office, while others, like smile makeovers, require multiple treatment sessions and can take anywhere from a few weeks to several months to complete. Before any cosmetic treatments begin, your dentist requests that you have any underlying dental issues addressed. Doing so ensures that you get the maximum benefit from your smile makeover and that your supportive structures are stable. If you’re interested in improving your smile and boosting your confidence, you should contact the team of cosmetic dentistry at Weishaar & Weber Dentistry. Call to schedule your appointment or book online now.